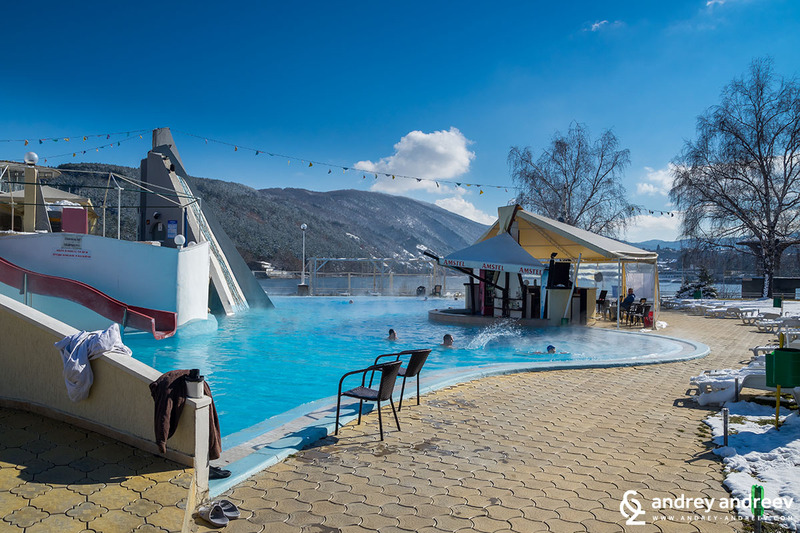 Outdoor hot mineral pools in Bulgaria - where to go in the cold seasons? When the weather gets cold, my family and I immediately start thinking about going to a SPA hotel with a hot outdoor pool. 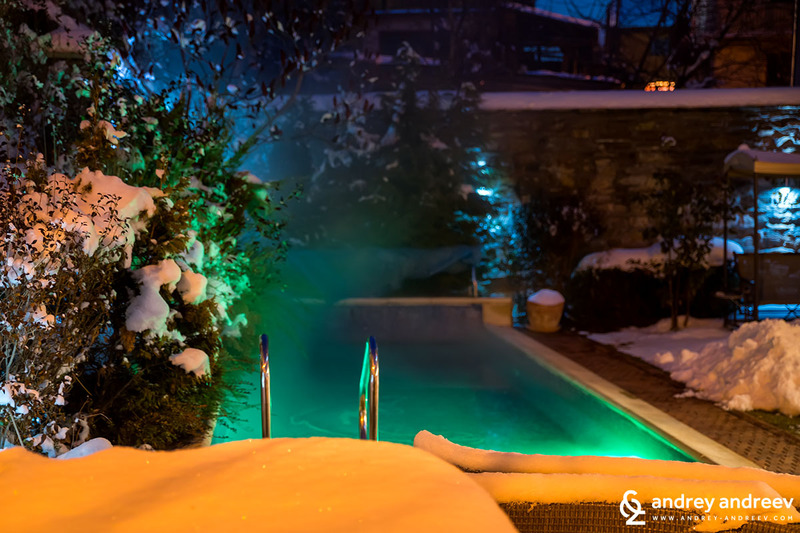 We love snowflakes falling on us in the hot mineral water or just feeling the refreshing cold air in the autumn while bathing in the hot pool. 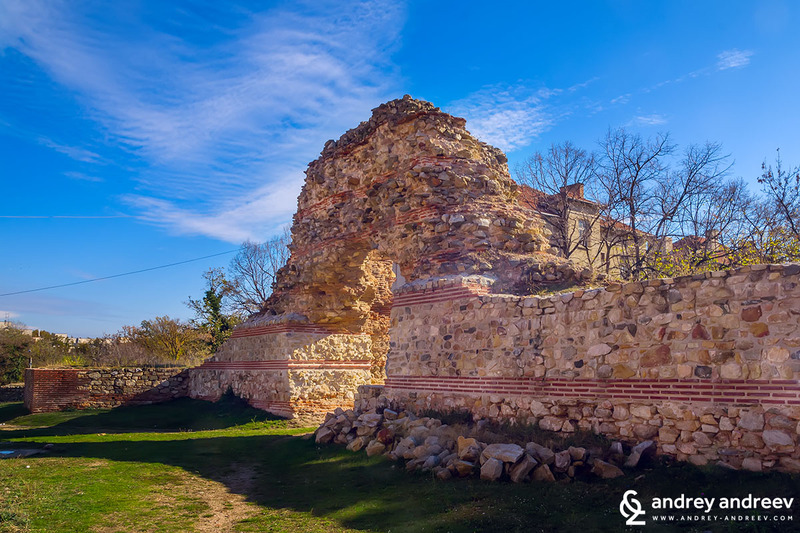 Finding new places is not always easy so we decided to share our experience with spa resorts in Bulgaria and hot mineral pools in Bulgaria and update the list constantly. 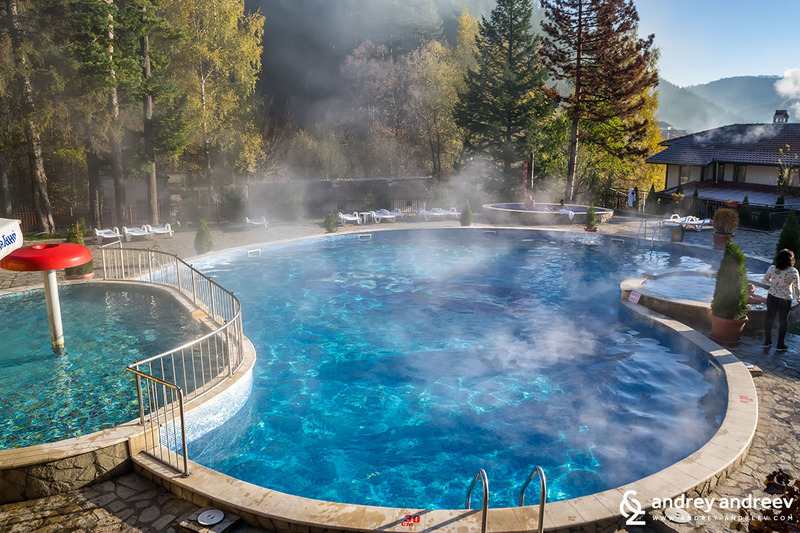 Bulgaria is rich in mineral springs – we have over 700 across the country. So this kind of pleasure is quite accessible to the people. We are happy to live in this SPA paradise and never miss a chance to enjoy it. It’s like Iceland, but in the summer you can go to the beach, too. So there are plenty of places and hotels with hot mineral pools in Bulgaria. At the heart of Rhodope mountains is the beautiful town Velingrad. It is famous across the country with its numerous hot springs (over 70) and the many hotels offering SPA services and thermal pools. The town fully deserves to be called SPA capital. 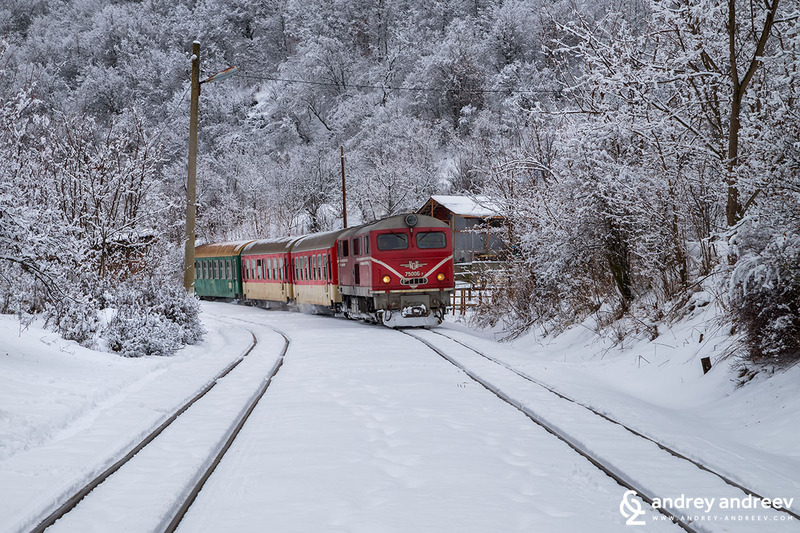 You can travel to Velingrad with the exotic Narrow Gauge Railway – the last of its kind in Bulgaria. 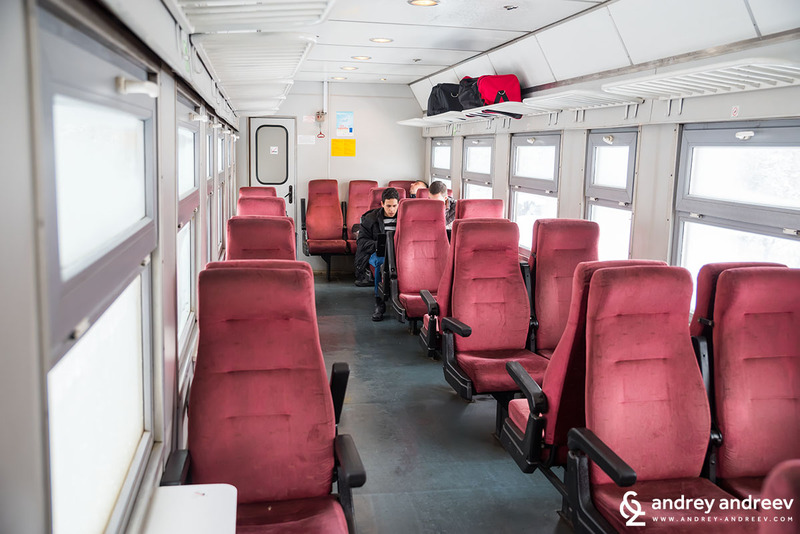 Take it from Septemvri train station and enjoy the beautiful mountain views during the journey. Velingrad is our favorite SPA resort in Bulgaria and we can recommend several places to stay there. 5-star villa, not budget at all but still good value for money. Featuring an outdoor hot pool and an indoor jacuzzy, together with sauna. It’s an incredible pleasure to jump in the pool when it’s -15 degrees outside. 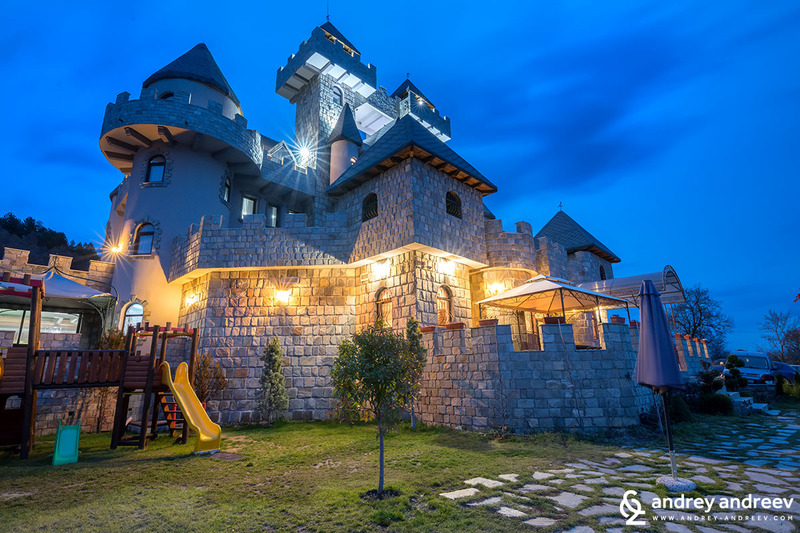 The best thing about Villa Vuchev is that you will be left unbothered by any unknown people. No matter whether you are booking just one room or you are arriving with a company of several people, the villa is all yours. And there is no working time of the SPA centre – you can enjoy the Jacuzzi at midnight, if you wish. It is a totally wonderful place. A very nice, new and again, not budget 4-star spa hotel. Very good SPA centre with warm pools, including an outside pool, saunas, steam baths, etc. Good value for money, if you are not on a budget. A good budget option for Velingrad. You will need to book at least 1 week in advance and maybe even 2 weeks in the busy season. The outside pool is small and often crowded, but there is also a big covered pool and a small SPA centre. The restaurant is nice. Last visit – 2013 or 2014. 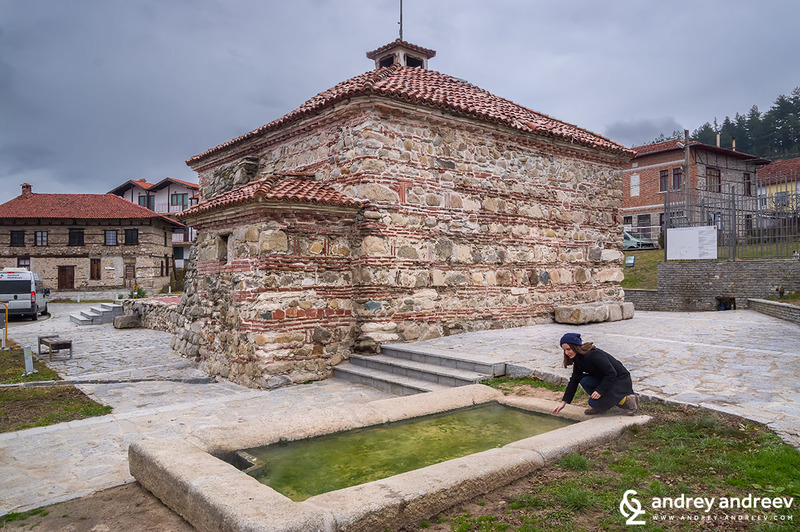 Hisarya is a nice town in Central Bulgaria known for its many mineral springs – one of the places with highest density of hot springs in Bulgaria. So it is also one of the most popular spa resorts in Bulgaria. It is also very nice for walks and there is a fortress in the town centre. There are plenty of hotels there but we have only been to the 4-star Hissar hotel. The outside pool is not very small but it gets really crowded in busy times (weekends) because the hotel is really big. There are also two spa centres and an indoor pool. Ognyanovo is located at the foot of the Rhodopean ridge Dabrash. From the village you can see the marvelous silhouette of Pirin mountains. Ognyanovo has been known for its mineral springs for centuries. Until recently, every house in the village was supplied by mineral water. We enjoyed this natural treasure for the first time on a cold January night a few years ago. We jumped in the hot basin Miroto, which is built just above one of the mineral springs. We spent hours there, resting in the hot waters and cooling in the icy river just nearby. Snow is a rare view in Ognyanovo. However, you can enjoy in in the nearby mountainous villages. Ognyanovo is a popular SPA destination with many hotels and guest houses. We enjoyed a wonderful weekend in Royal Valentina Castle hotel and we strongly recommend it if you plan a holiday in the area. In the cold seasons the outdoor pool is cold and you can enjoy the indoor swimming pool and kids’ pool, as well as a Jacuzzi. 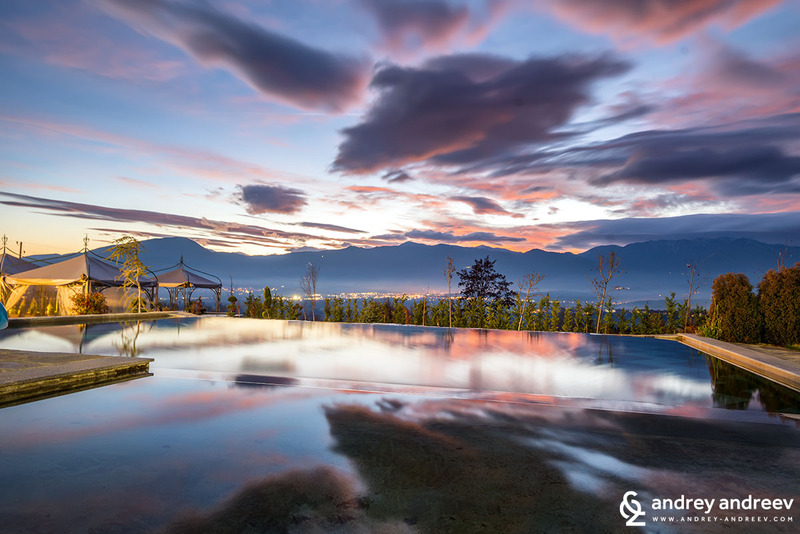 In the summer you can also enjoy the outdoor infinity pool featuring stunning views to the nearby mountains. Both pools are filled with mineral water. Miroto is entrance-free and accessible anytime, even at night. We bathed there for hours in a hot January night, taking sporadic jumps in the neighbouring ice-cold river when we got too hot. Miroto is entrance-free and accessible anytime, even at night. If you are looking for a budget option, you can stay in a small hotel or guest house and enjoy Miroto for free. However, we lately prefer more comfortable options with some additional SPA facilities. So if you have a suggestion for a nice hotel in Ognyanovo – feel free to share. 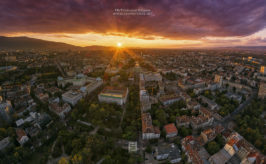 Sandanski is also among our favourite destination – it is the warmest place in the whole country. It is sunny almost year-round and the town is also known with its fresh and even healing air. In the city there are also many thermal springs. But we have never stayed in a SPA hotel there. The area around is also known for its wine production – you may have heard of Melnik wine. I had known for a long time for the village of Marikostinovo and its healing mud. It is located just near the highway from Sofia to Kulata and Greece, just a few kilometers from the Greek border. In the village there is a dedicated hospital for rehabilitation where you can heal your locomotor system. In Marikostinovo there is a hot spring where water springs at 68°C and near the spring there is a field of healing mud. Years ago this water was used for heating the greenhouses with tomatoes in the area. Then the tomatoes were taken to the train station and headed to their destination. The good thing is that nowadays you do not need to be a tomato to enjoy the hot water and not only in the hospital. In the village now there is a wonderful 4* hotel – Mantar. The water in the indoor pool is 50:50 mineral and tap water and the temperature is about 37°C. Outdoors there is a wonderful recreation pool, working in the winter as well, with 100 % mineral water as hot as 39 – 40°C. There is also a large outdoor swimming pool, open in the summer months. Mantar is a great place to spend a few days with family. Quiet, calm and easy to reach – only 2 minutes drive from the highway. The restaurant is also very good, open every day. They also have nice outdoor playground and also a smaller indoor kids room, but the latter is rarely used. One of the best things about the hotel is its location – within 10 km of it there are several wonderful wine cellars to visit: Rupel wine cellar in Dolno Spanchevo village, Zlaten Rozhen in Kapatovo village, Villa Melnik near Harsovo village and several others. Moreover, in the area you can visit many other interesting places – Rupite, Melnik, Rozhen monastery and the village of Rozhen, Zlatolist village, the ancient town Heraclea Syntica. We had heard a lot about Chiflik resort, near the town of Troyan. However, we just recently went there for the first time. And it totally deserves its reputation. Chiflik is a small village with many SPA hotel, almost all of them having outdoor hot pools. There are many hotels in Chiflik resort. Balkan hotel is a good choice, 3-star, average price. There are several outdoor pools with different temperature, as well as a SPA centre. We really enjoyed the pools and also the Turkish bath. You can visit the pools of Balkan hotel even if you are not staying in the hotel. The entrance fee is 10 lv per adult and 5 lv per child. For the mountain lovers, nearby is the Natural reserve Kozya Stena. However, before you go, check carefully your routes and their hardness. In Sapareva Banya you can see one of the few hot geysers on continental Europe. The water is more than 100 degrees hot and there is a smell of spoiled eggs. In the town there are many places where you can enjoy the healing thermal water – both hotels with own pools and a public SPA complex with pools. There we enjoyed one of our most relaxed days for a long time. 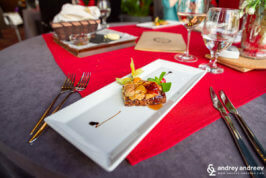 It is a budget hotel with nice restaurant and if you are not a 5-star addict, I think you will like it. Despite the hard road situation, the road to the hotel was clean so we had no problems reaching there. The hotel is supplied with hot mineral water everywhere because they are using a local hot spring and it was very warm despite the -15 degrees outside. The water in the pools and showers is mineral as well. Besides the main hotel building, there is a second one, more luxurious, but also colder. Included in the price is fitness centre, indoor Jacuzzi and outside pool. 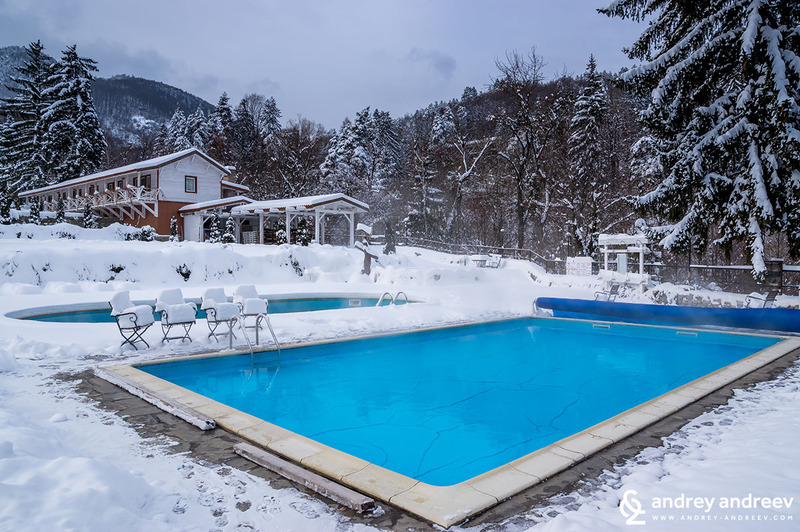 If you are enthusiastic to try the outside pool, have in mind that it is relatively far from the main building – maybe 100-200 m that you should walk in the snow. So bring your bath robes and suitable slippers for the exotic walk. The outside pool is big and warm and we felt great there. After the walk back to the hotel we took a few minutes in the really hot Jacuzzi, very refreshing. How far is the hotel from the pool. There are days when I feel very tired and I really need to relax a bit. Especially when these days are cold and colourful. We had a small escape with little Anna on one such Sunday. We went 80 km from Sofia to the Vili Kostenets resort, where there are mineral springs. Just before the Kostenski waterfalls there is a new complex with hot mineral pools – Terma Kostenets. In Terma Kostenets you can jump in the hot outdoor pool and several indoor pools and Jacuzzis. You will definitely enjoy your time here – it is warm, clean and calm place. At least our Sunday looked like this. There is not a hotel in the complex, the steam room is in construction and there is a restaurant and bar. They also make delicious juices. Me and Anna spent 3 hours in the outdoor pool, she had a lot of fun and then slept in the car on the way back to Sofia. 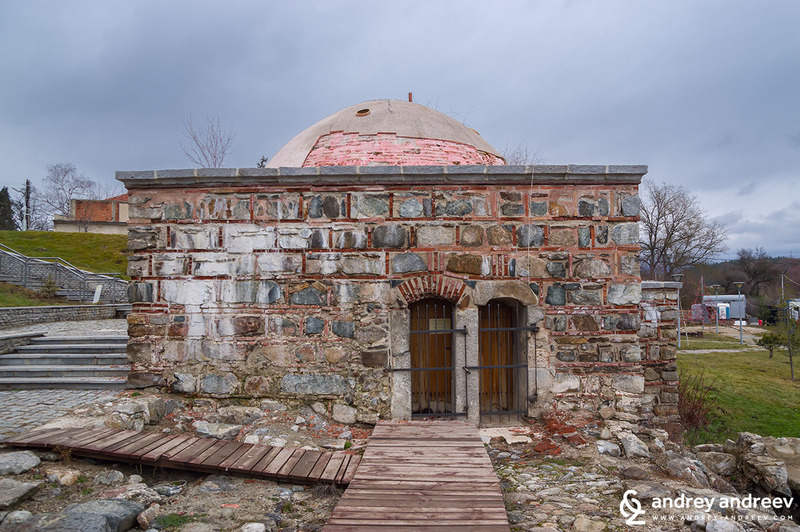 Just a few kilometers from Sofia is the Korali complex in Pancharevo village. 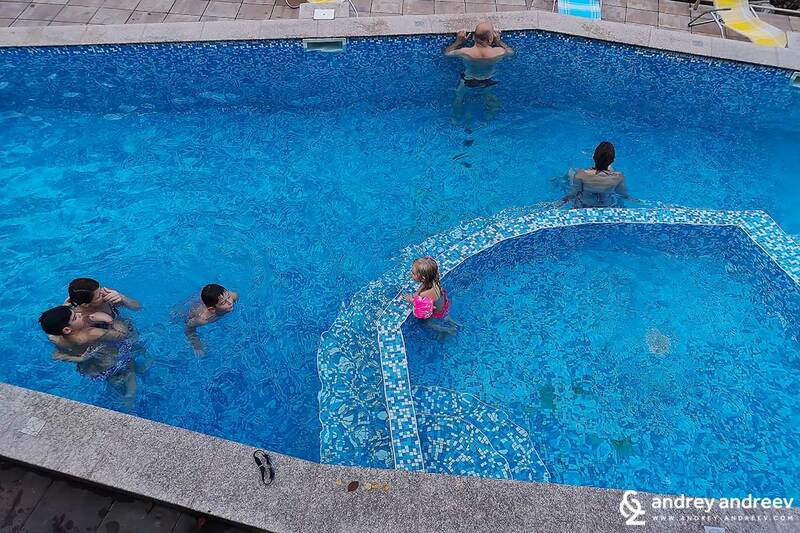 There you can enjoy the big swimming pool with warm water year-round. But in my opinion, the water is not very warm so I wouldn’t dare to try it if it is less than -10 outside. But I would jump in in a normal sunny winter day or a rainy autumn day. Bring your bath robes because there is some walking from the pool to the dressing rooms. 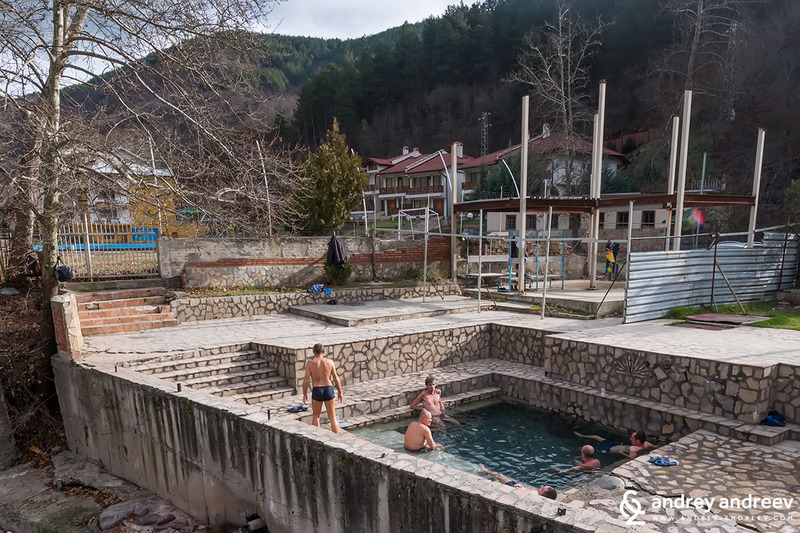 Varvara village is also known for its hot mineral springs. 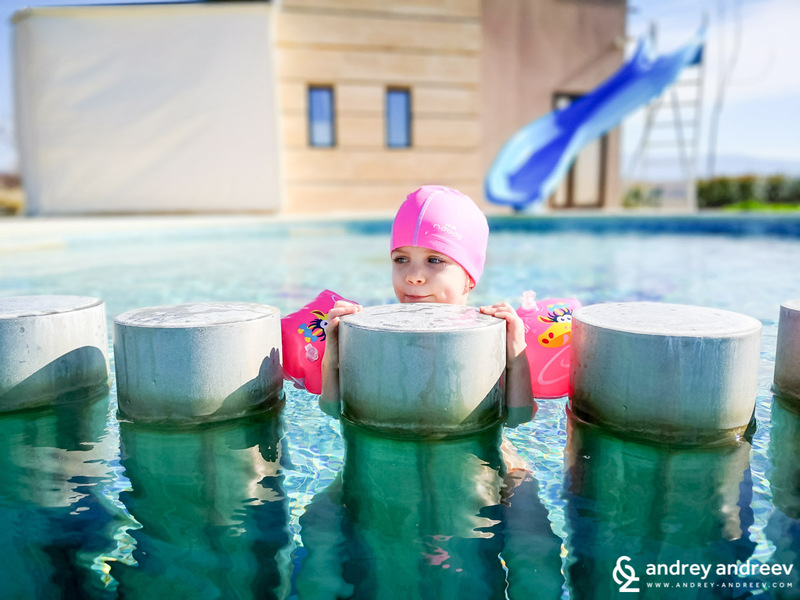 There are 2 hot outside pools there – in Varvara Complex and another one in Aqua Varvara hotel. We have not been to Aqua Varvara but we often visit Varvara Complex in the spring. The hottest pool is small but sometimes the kids’pool is also filled with warm water. However, it is covered with some kind of tent. It is a great place for April and May, we haven’t been there in the winter. Banya village is a popular and interesting place for SPA tourism. 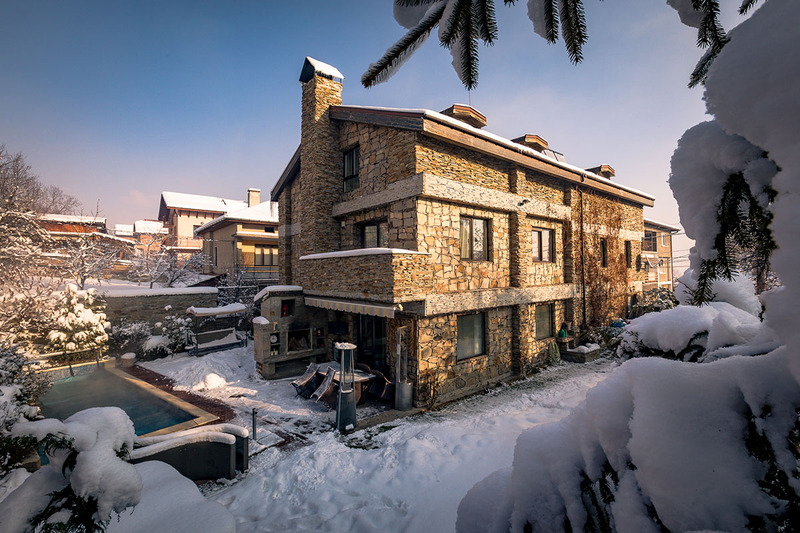 It is very close to Bansko ski resort and provides great opportunities for ski lovers. From here you can also enjoy marvellous views to Pirin, Rila and Rhodope mountains. 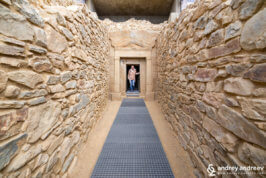 In the village there are two old baths that have been restored recently – Bulgarian and Turkish bath. They are now very interesting museums. 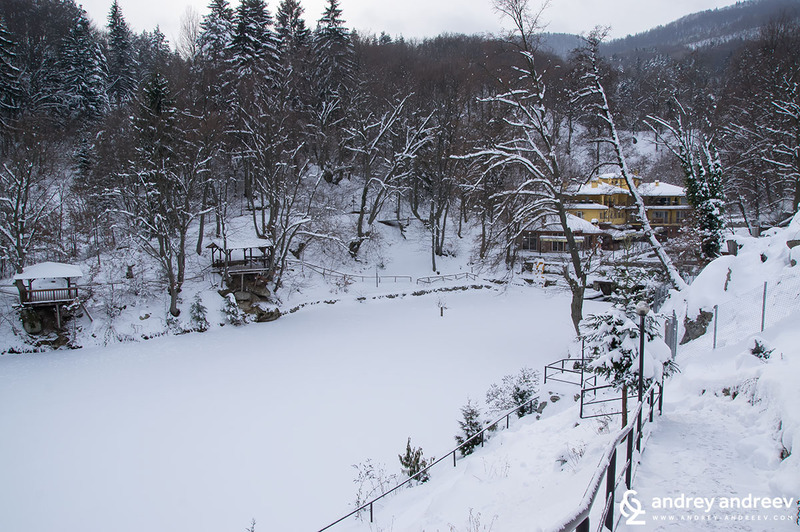 Banya village has numerous mineral springs and almost every hotel offers mineral water. Together with the beautiful nature around, these make Banya a wonderful destination for a holiday. Hot mineral water is also pouring from several fountains around the village. Here we have stayed in one of the budget SPA hotels – Seven Seasons, but if you are looking for more luxury, there are many other options. This hotel also has mineral water pools, although not very hot. The outdoor pool is open only in the summer. 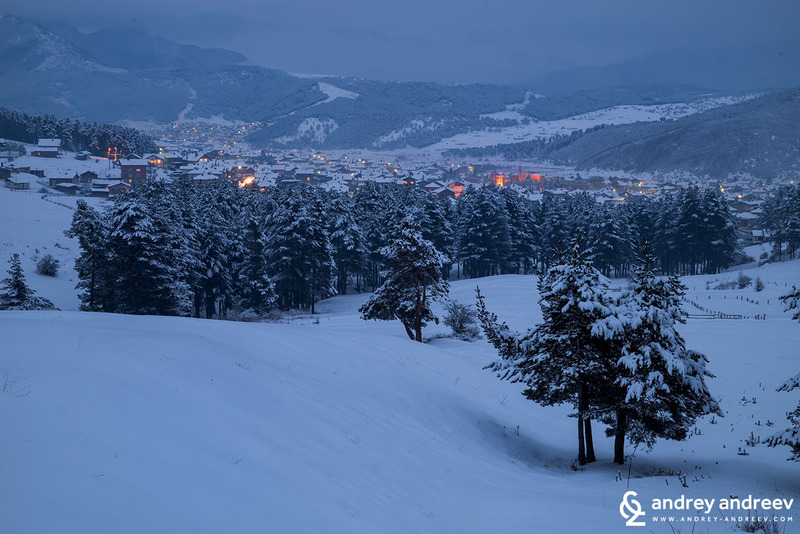 Banya village is 5 km from Bansko which makes is als a great place for ski lovers. It is known that in Varna there are at least 28 thermal springs. However, we are not familiar with the opportunities for SPA tourism there. As far as I know, in the nearby resort St. Constantine and Elena there are some hotels with thermal pools. We will be happy if you know something more. The list of spa resorts in Bulgaria with thermal springs is really long. We tried to include at least the most popular and accessible destinations. 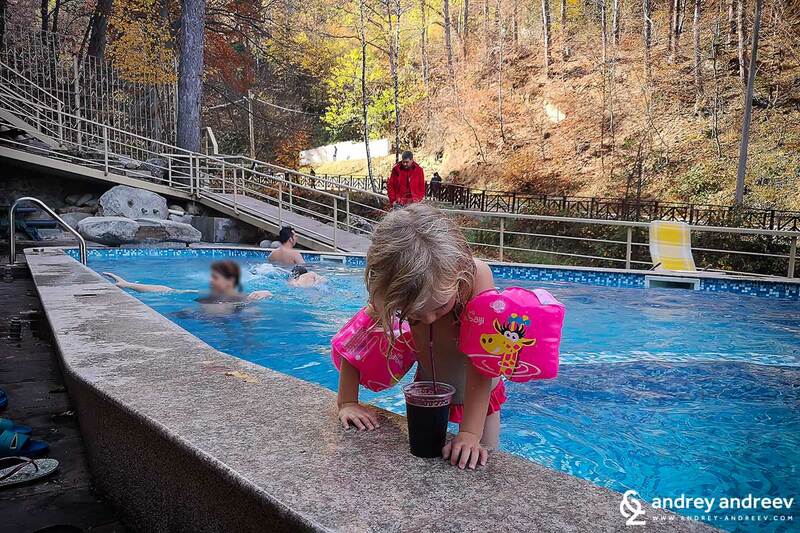 There are also resorts where there is mineral water but it is not thermal and they are not a good idea for the winter. If you can add to this list, feel free!